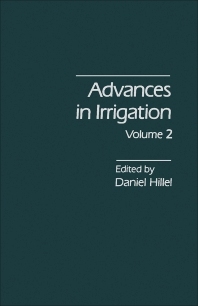 Advances in Irrigation, Volume 2 covers topics on the developments in the science and practice of irrigation. The book presents articles on irrigation scheduling and applied timing criteria; the problem of energy utilization and management in irrigation; and the relationship between irrigation requirements and crop response in terms of crop-water production functions. The text also includes articles on the development and prospects of irrigation in Australia, as well as the application of a plant-environment model to problems in irrigation. The economic analysis of on-farm irrigation using response functions of crops and irrigation scheduling based on a dynamic crop response model are also encompassed. Industrial engineers, agronomists, economists, agriculturists, hydrologists, hydraulic engineers, and agricultural engineers will find the book invaluable.